This refers to the type of competition of the EU for all who want to apply in European Personnel Selection Office. 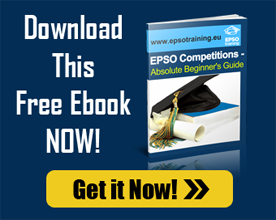 EPSO has an external website which is open to all and in that site the competition is published publicly. Anyone who meets the criteria may apply and that does not exclude the EU officials who also want to apply to be promoted to higher grade or those temporary agents who want to make their contract indefinite. Aside from the open competition, there is also an internal competition usually every 5 years. This is only open to the permanent or temporary staff in the Commission or other institutions.